From Hue, we took the fourteen hour sleeper bus up to Hanoi that arrived just before seven in the morning. 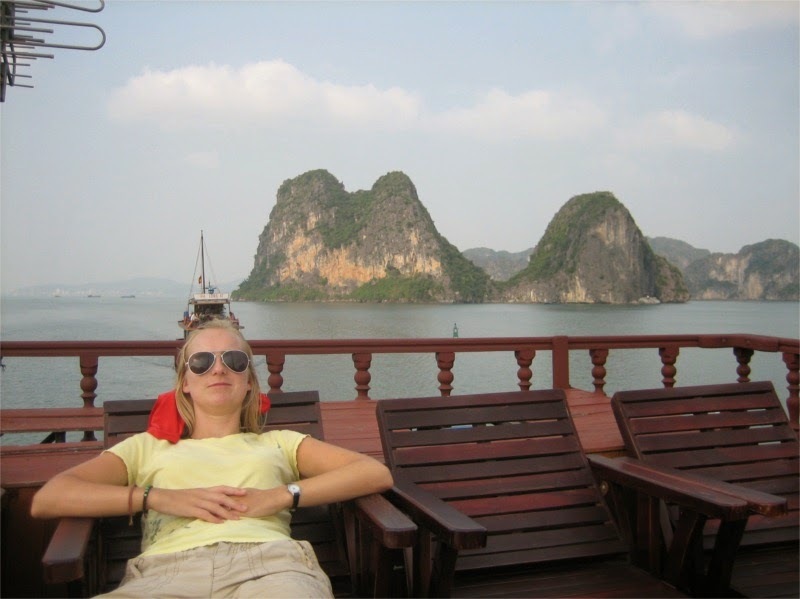 We moved quickly and booked a three day - two night Halong Bay tour, departing at eight o’clock that same morning. 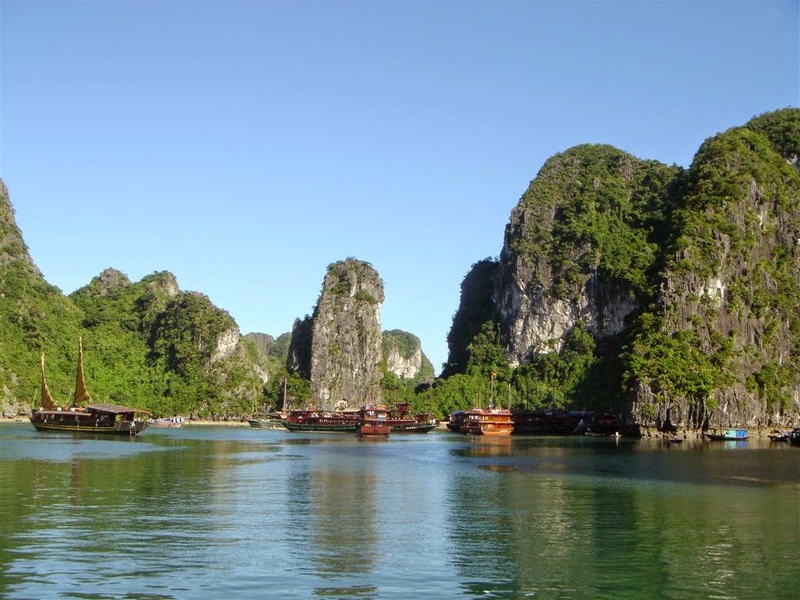 Halong Bay is about 170 km. from Hanoi. It is a UNESCO World Heritage site, a beautiful bay with just under 2,000 majestic limestone-cliff islands scattered around the bay. We took the bus to Halong City (with a stop in a souvenir store of course) and there we boarded a nice three star junk with eleven other passengers and a crew of six. 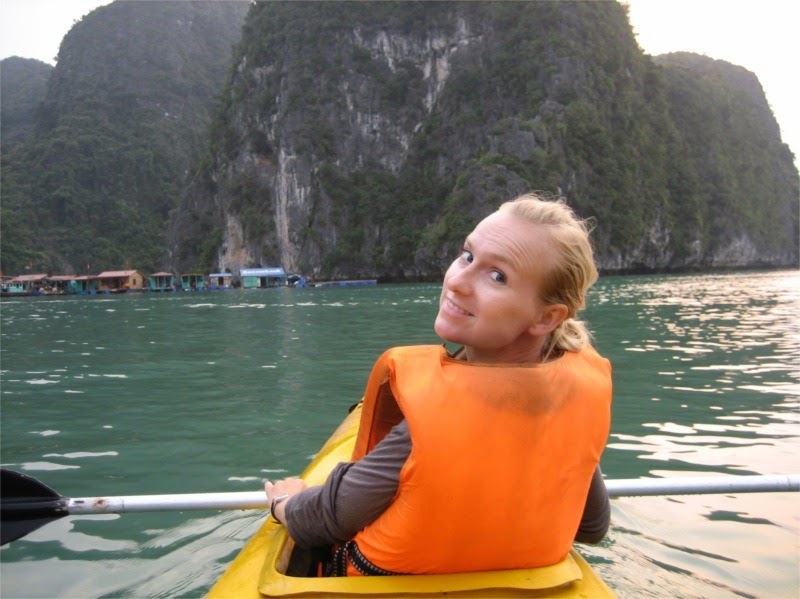 At first it felt like stepping into a ski-lift, going out on that boat. At any one time there are about 300 similar passenger boats sailing around Halong Bay and they all have similar schedules so we could always see a few boats behind us and a few ahead of us, all heading in the same direction. But we were quick to shake of the ski-lift feeling. Sailing around the bay in those boats is soooo relaxing and nice. The bay is very quiet and the scenery is so astonishing that you get the feeling of moving around in slow motion. 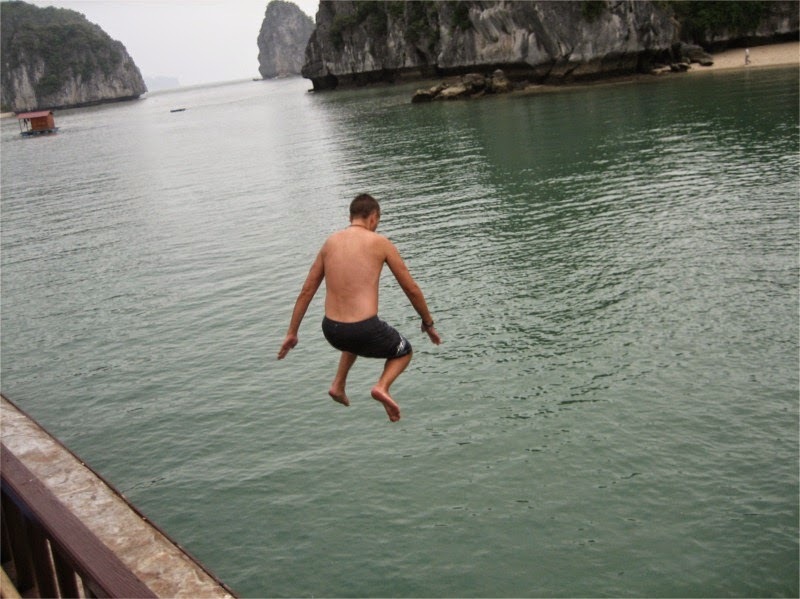 We visited a big cave on one of the islands, went kayaking Halong Bay and visited a floating village where the people live in houses build on rafts and underneath they have enclosures filled with fish, squid and lobsters that they feed until they are big enough to eat. The first night we slept on the boat but on the second day we went to Cat Ba Island and stayed in a nice new hotel in Cat Ba town. In hindsight we should have stayed two nights on the boat though. The hotel in compared to how nice it was on the boat. We were picked up the next morning and sailed quietly back to Halong City where we took the bus back to Hanoi (with a stop in a souvenir store of course). All in all the tour was great, the scenery was fantastic, the food was good and the accommodation cozy and nice. 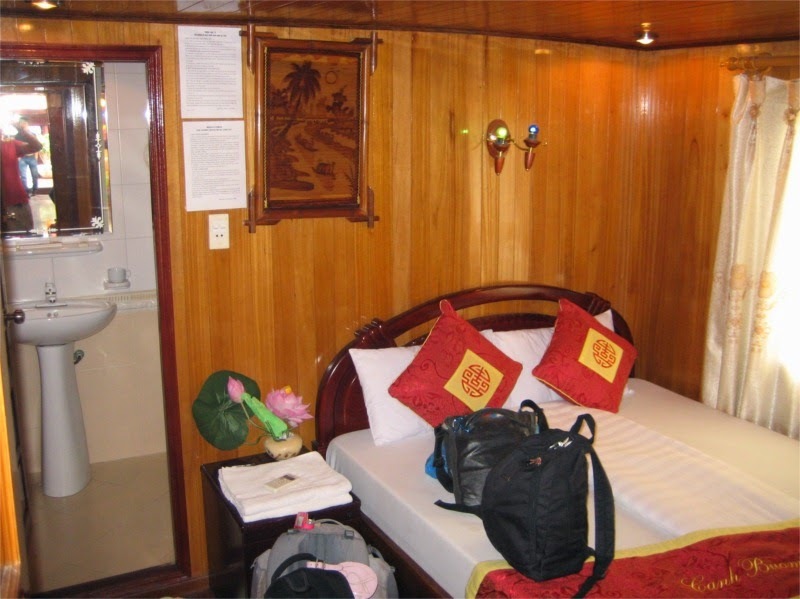 For people considering to take a similar trip I would recommend taking the two day one night on the boat option on a three star boat or even three days two nights on the boat option.